Over the years, if you don’t name your photos with location info, you will forget where exactly they were taken. Some cloud service like Google, allow you to integrate photo location to other geo-service (Maps), so you can have maps presentation of your photos. Main Problem to Do Geotagging? If you use smartphone camera, you can always turn on the geotag. Of course your GPS must be on. But most cameras (even the DSLR ones), do not have GPS to do geotagging. So you most likely have a large collection of photos without any GPS (Geotagging) information. After trying different ways to do this, I conclude the main problem is how to geotag in batches (multiple files at once), since most of the times, you take your multiple photos in one location (holidays, wedding, events). I use Windows 10, so what I wrote after this will have Windows 10 as reference. Sadly, the best tool is the obsolete Picasa that was discontinued by Google. Last version is 3.9.141 (Build 259). I have tried to use GeoSetter and EXIF Pilot, but the problem is they are too troublesome on batch processing. For EXIF Pilot you are required to pay USD 79 to have batch processing enabled, but you need to key in the coordinates (not visual interface). The problem with Picasa : it’s discontinued, while other Google components and Windows are keep updated, so two majors issues happened. Below is how to deal with them. Error 2 : Cannot Open Google Earth (suggesting to install, while you know you already have it). 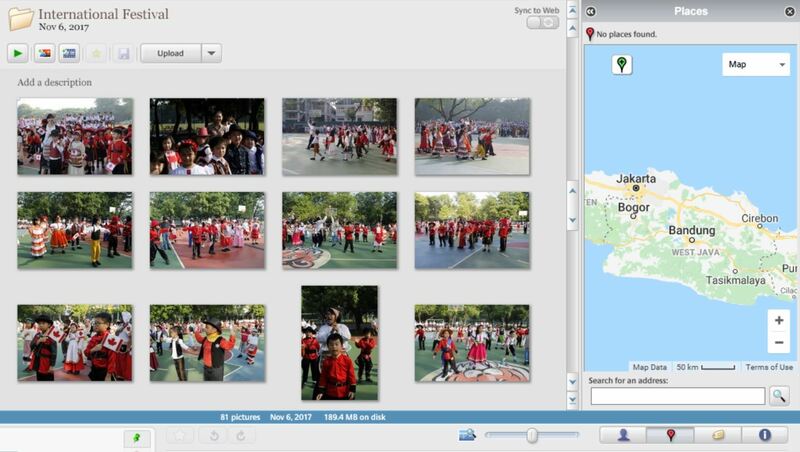 If the Map window is not working, you still can use Google Earth to tag from Picasa (menu : Tool – Geotag). But there is common error suggesting you install Google Earth (while you already have it). This is because you install the latest Google Earth in 64 bit, which have folder in different location, not in C:\Program Files (x86). How to handle this? There are two options. 1. Reinstall Google Earth but choose C:\Program Files (x86) as folder. 2. Reinstall 32 Bit Version of Google Earth that will directly install to that particular folder. Posted on July 29, 2018 by e2rd_san. This entry was posted in Apps & Links and tagged apps, travel. Bookmark the permalink.